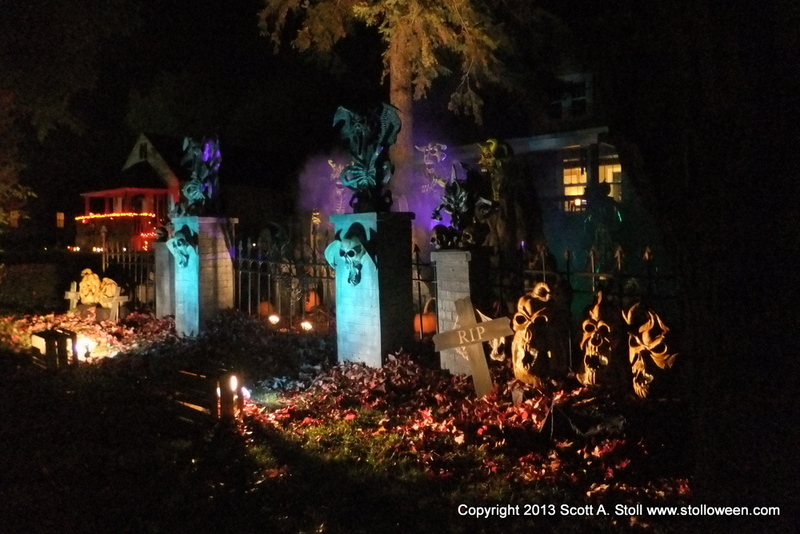 The yard display went up on Monday, October 28th and while technically it was the smallest display we have done since 2006 it did feature a lot of new pieces. 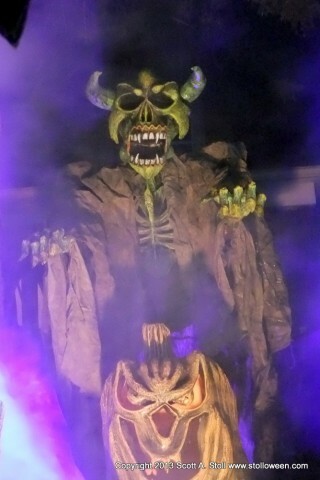 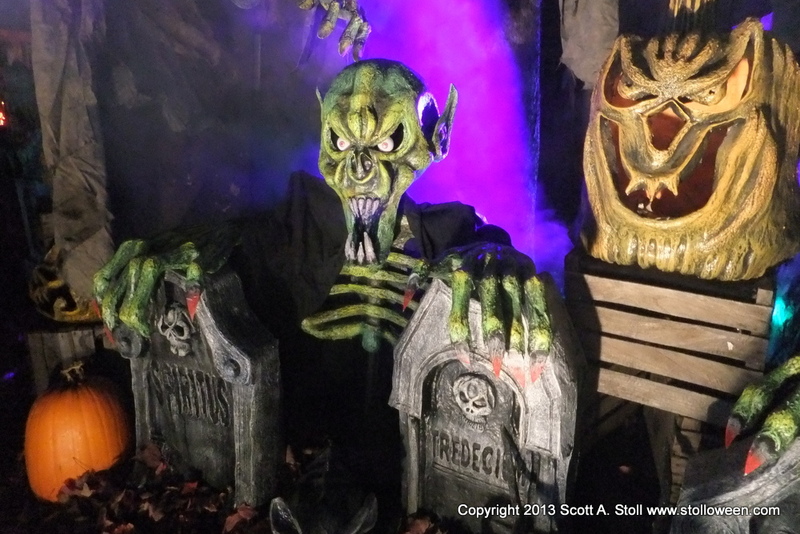 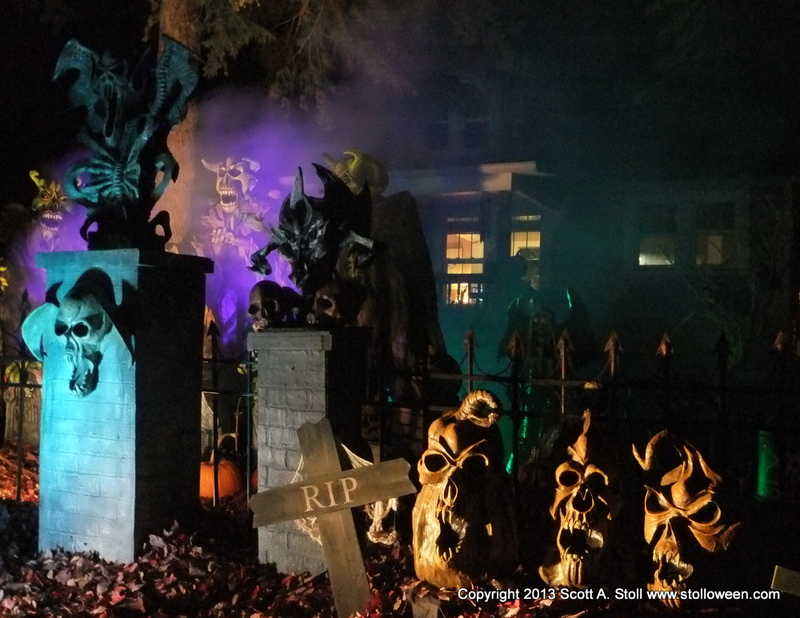 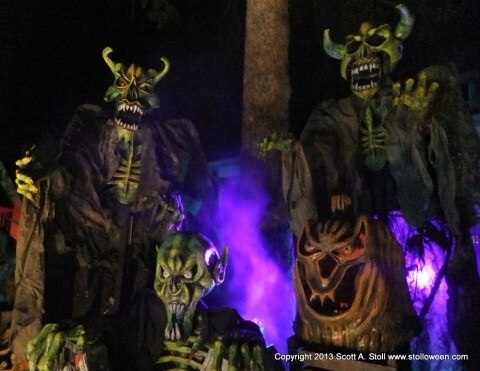 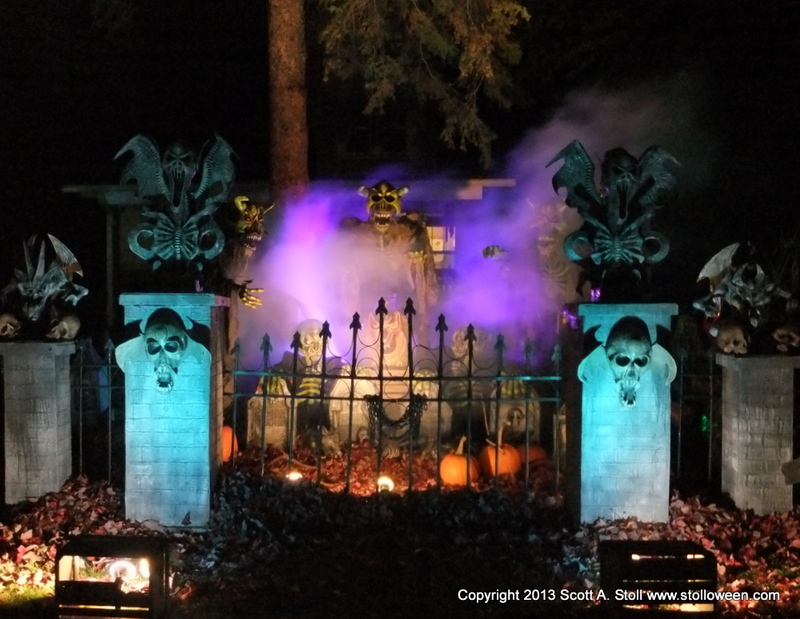 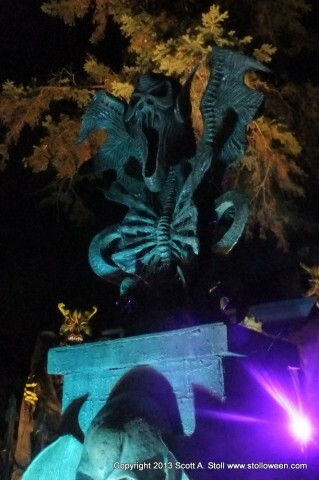 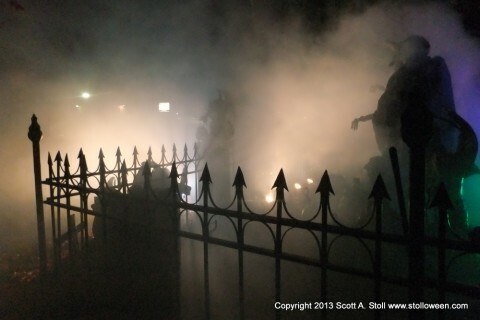 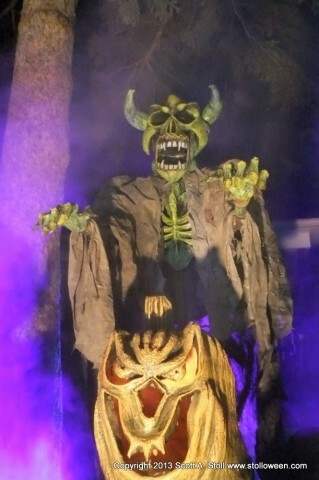 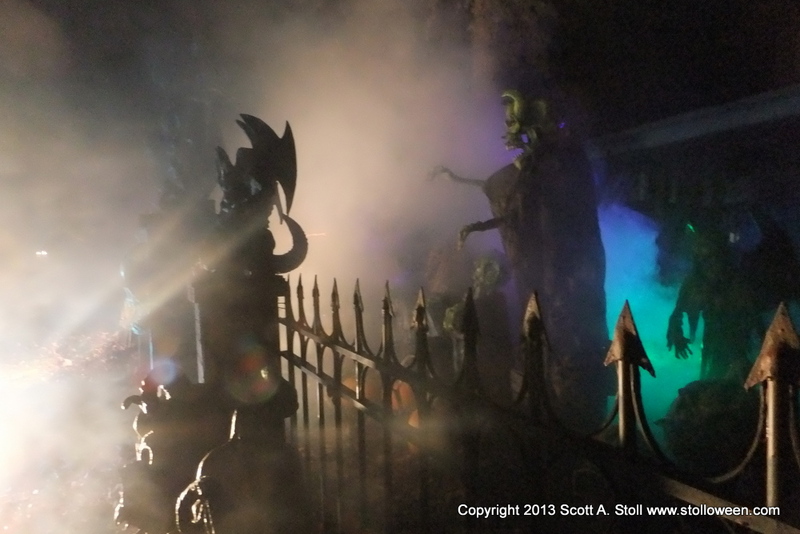 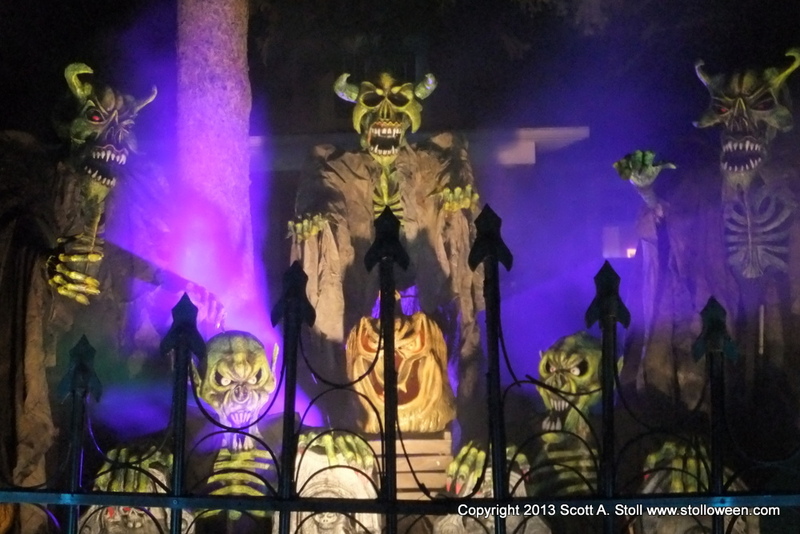 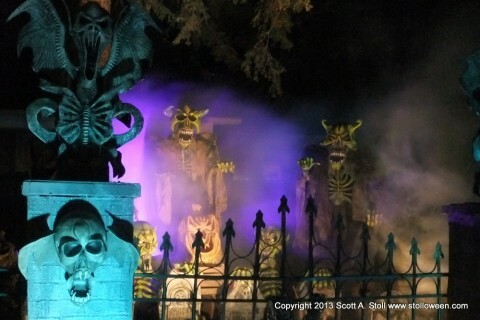 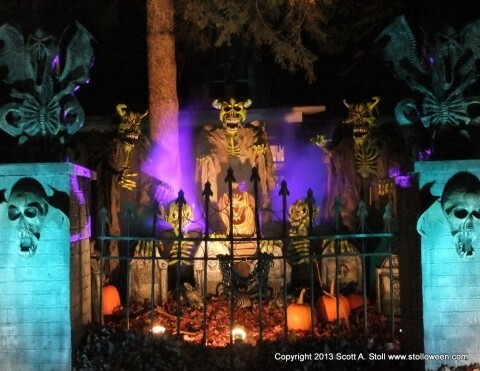 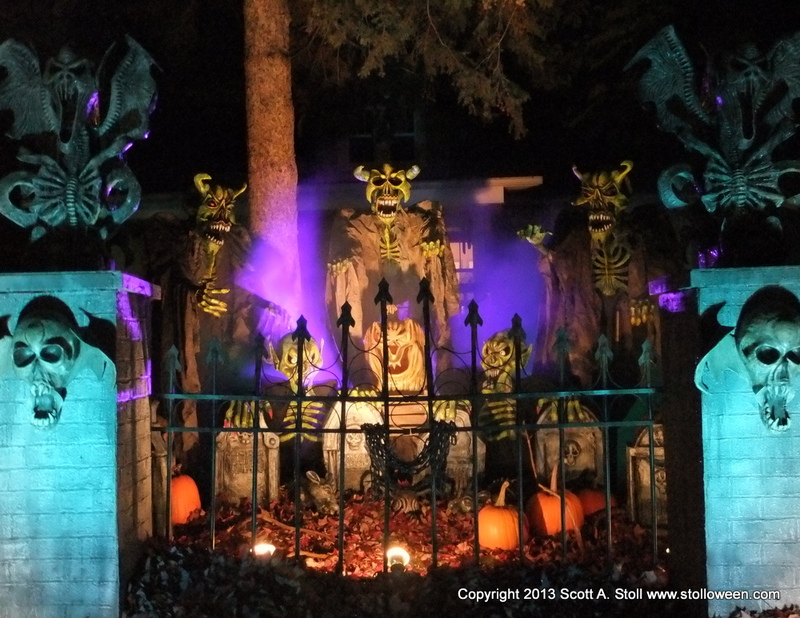 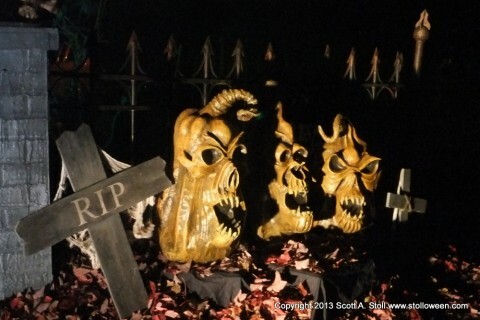 New for 2013 were three large Green Demons, two Green Goblins, a dozen papier mache Tombstones and two new Gargoyles. 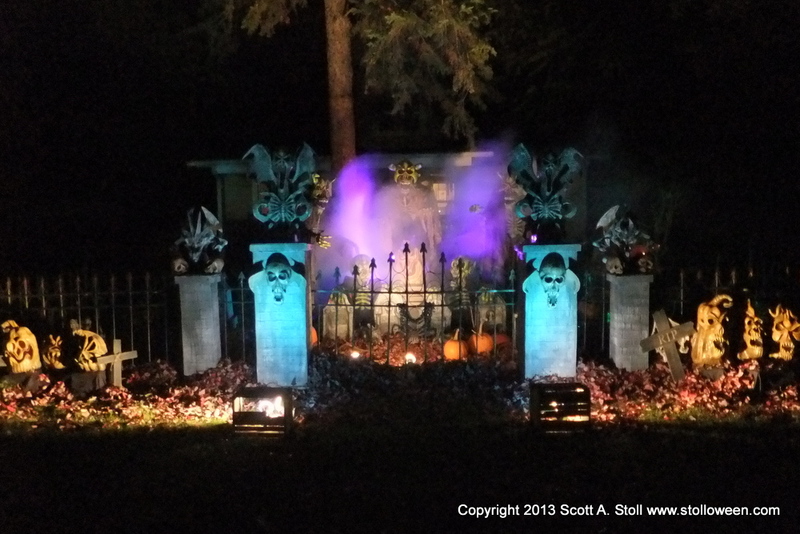 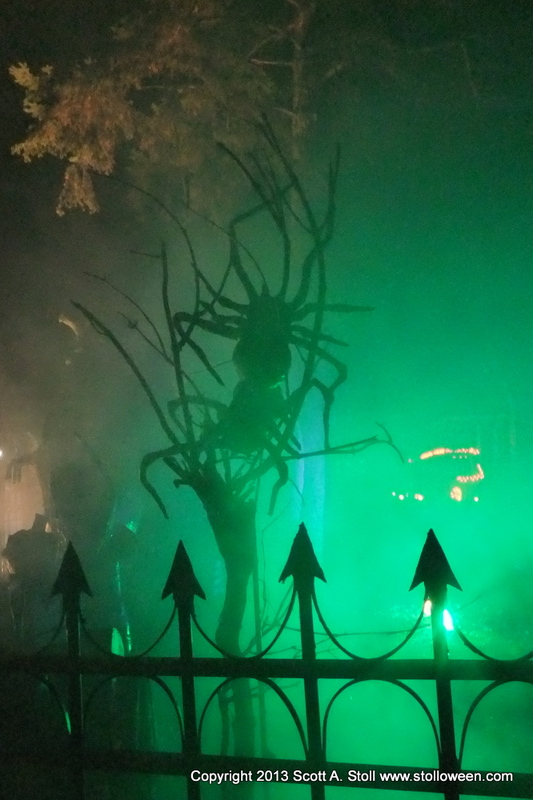 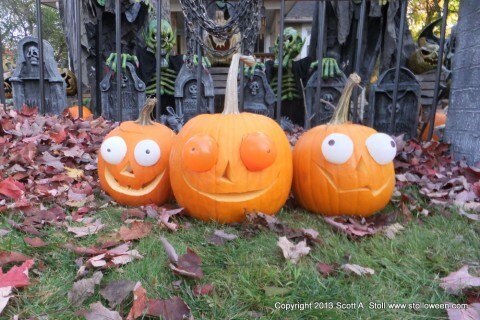 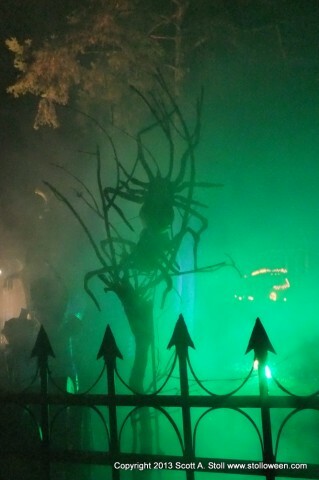 The three evenings leading up to Halloween were beautiful but Wednesday night the rain started and by my estimation we received over two inches of rain by Thursday morning. This is the second year of crappy weather but we pushed through the mess and had a fun Halloween all the same. 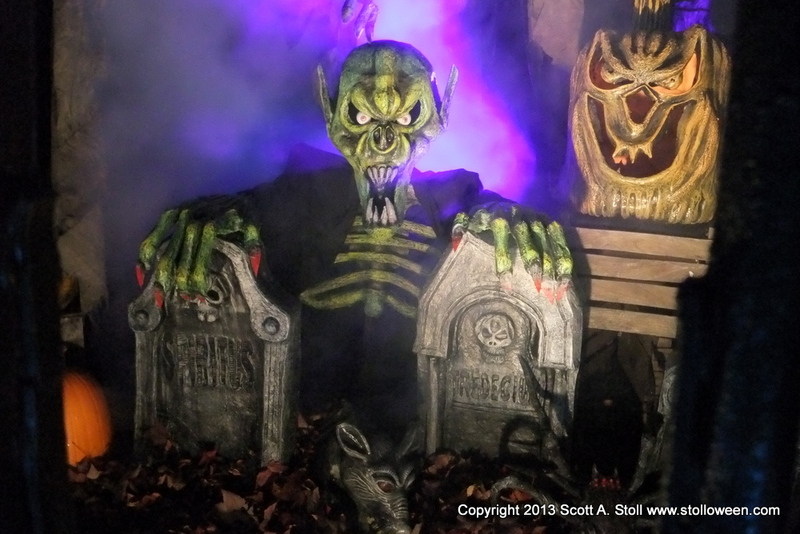 Hope everybody’s favorite day was fun and safe….now get started on 2014!